Acne was rare when I was a teenager during the 1960's, sure there were cases, but nowhere the number we see nowadays. It seems every second teenager now has acne. Depression and anxiety appear to be on the rise and there is growing evidence that the three are interlinked. If they are, what, if anything is their common factor? What might be their root cause? I think I know the answer. "In recent years it has been confirmed that hypochlorhydria is a significant risk factor for small intestinal bacterial over growth (SIBO). Indeed SIBO is detected via hydrogen breath testing in half of patients on long-term proton pump inhibitor treatment . SIBO presents itself on a wide continuum between being asymptomatic and, at its extreme, a severe malabsorption syndrome. For many, there may be very mild gastrointestinal symptoms, including bloating, diarrhea, abdominal pain, and constipation . It is also reported to be prevalent in functional syndromes such as fibromyalgia and chronic fatigue syndrome . SIBO can compromise proper absorption of proteins, fats, carbohydrates, B vitamins, and other micronutrients due to bacterial interference. Excess bacteria can successfully compete for nutrients, produce toxic metabolites, and cause direct injury to enterocytes in the small intestine . Just as Stokes and Pillsbury had supposed, SIBO has recently been shown to be associated with increased intestinal permeability, whereas antimicrobial treatment of SIBO helps to restore the normal intestinal barrier . Experimental studies show that psychological stress stagnates normal small intestinal transit time, encourages overgrowth of bacteria, and compromises the intestinal barrier . SIBO is strongly associated with depression and anxiety, while eradication of SIBO improves emotional symptoms [19,20]. Although the frequency of SIBO in acne vulgaris has not yet been investigated, a recent report indicates that SIBO is 10 times more prevalent in those with acne rosacea vs. healthy controls. Correction of SIBO leads to marked clinical improvement in patients with rosacea ." 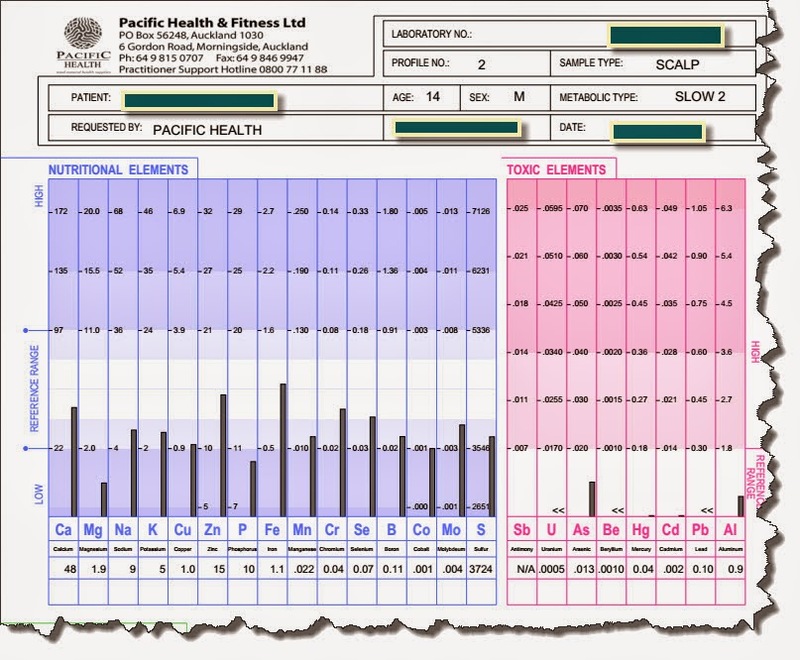 The following chart is the hair tissue mineral analysis HTMA) for a 14 year old suffering gut and acne issues. Needless to say he is feeling miserable (depressed). Who wouldn't? Terrible skin with acne sores everywhere, especially the face. Difficulty eating anything, including holding it down. Diarrhoea. Failure to thrive, thin and delayed puberty. Not feeling good about himself. 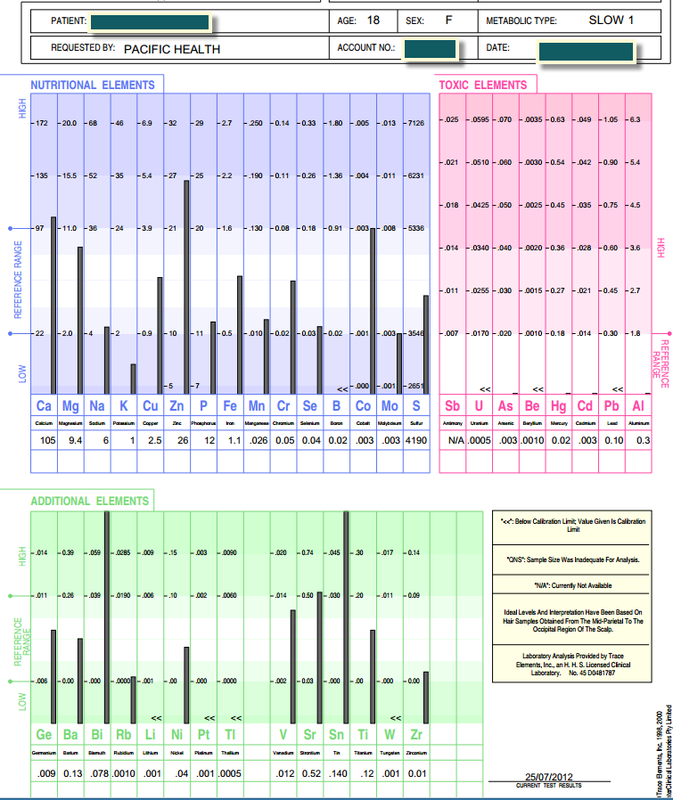 Elevated Zn indicates severe zinc loss. High Ca to Mg indicates tendency for insomnia, diverticulosis, muscle cramps difficulty with concentration and nervousness. There are more symptoms but these are the ones most relevant in this discussion. He is a sitting duck for viral and fungal infections, depression, ulcerations of the gut and poor healing. Incidentally, the indication of a chronic infection (elevated Fe relative to Cu) is most likely due to the acne and ulcerations in his gut. Indiscriminate use of antibiotics causing near-permanent changes in a person's gut flora. This may be precipitated by a single course of antibiotics at any time of a person's life, especially during childhood. Fungal and yeast overgrowths stress the supply of zinc. Zinc is a powerful antifungal and antiviral and a person with fungal, yeast and viral infections, including gut ulcerations, needs huge amounts of this mineral. Paradoxically, zinc deficiency inside the body usually shows up as elevated zinc levels in the hair. It may be partly because the body is attempting to concentrate zinc where it is needed for fungal infection control - the hair, nails, skin and the gut tissues. Is there a single person in New Zealand who has never had an antibiotic? An antibiotic is a bit like taking Roundup and spraying a native bush reserve to kill some rogue gorse plants. The Roundup kills everything, leaving a barren land. Guess what comes back first? Yes - An overgrowth of gorse, so thick that anything else is smothered to death and another flyover with Roundup only gives temporary respite. This is what can happen in the gut following an antibiotic. Elevated Zn on the HTMA is an indicator there may be fungal and yeast overgrowths. The lasting solution is a patient process of clearing and thinning the overgrowth without resort to indiscriminate chemical, with plantings of a wide variety of natives. Its a slow process that may take many years to complete, if ever. Gut health, in the modern world that is soaked with toxins and depleted food, requires constant attention. The Modern diet is a major contributor because it is so lacking in minerals such as zinc and magnesium and devoid of most vitamins, many of which are needed for the body to properly utilise minerals. 18 Year old female with severe acne. Note similar pattern with Zn to that of the 14 year old boy. The elevated Cu is due to glandular fever having altered liver function and depressing K.
I am convinced there is a link between antibiotic use, the poor modern diet, stress and the distressing triad of acne, gut dysbiosis and depression. Treatment is not yet another indiscriminate B-52 bombing raid with antibiotics: it consists of the long term nurturing of the gut to gradually replace the "gorse" overgrowth with a rich flora of healthy bacteria. It consists of healthy dietary changes and the use of vitamin, mineral and herbal preparations to facilitate this long and gradual process of recovery. Treatment includes identifying and reducing, or better managing stresses in one's life. Clearly, an upset of the mind leads to an upset of the gut. 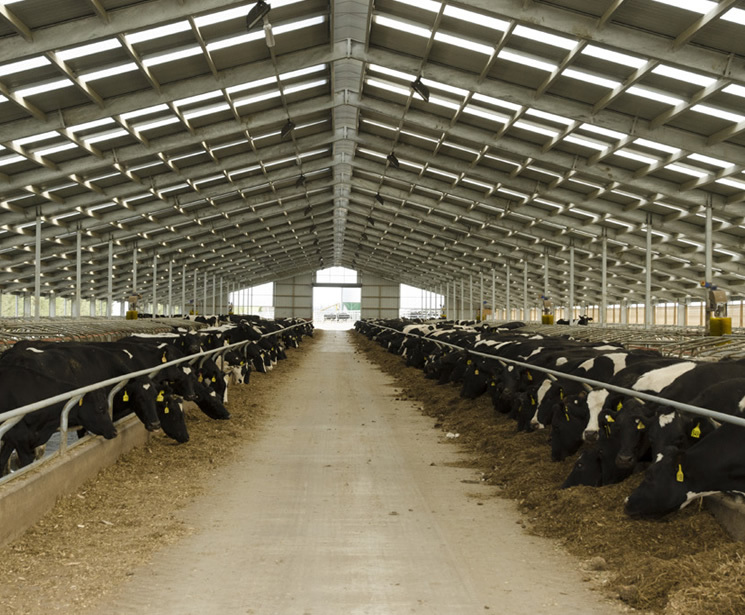 Coming to New Zealand now: Intense barn dairy farming. Many animals in close proximity = disease. Which means much higher use of antibiotics. Well, for a start, it may only be a matter of a few years before antibiotics cease to be effective against many bugs that are rapidly evolving into "Superbugs". Antibiotics have been abused in human and animal health and we are paying for it big time now. In New Zealand, as with the rest of the world, the use of antibiotics is almost universal within factory farming of chickens and pigs. We have been so spoiled with the wonders of antibiotics that we have almost forgotten how to prevent and treat infection through other means, such as cleaning a wound. If we are lacking vitamins and minerals and are stressed then our ability to fight infection is poor. The point I am making is that we hardly ever need antibiotics, if only we knew what to do. Antibiotics are amazing drugs but they have been abused. I want to see these wonder drugs reserved for the few cases that really need them: People with compromised immune systems and/or bugs that threaten permanent harm or to kill. For the rest of us basically healthy people: Stay away from antibiotics! With regards to agriculture, intense factory farming is reliant on antibiotics. We need to get back to more humane farming of animals, including giving them space to roam. "Gary: when was the last time you took an antibiotic?" My answer: I can't remember and I am still alive, healthy and kicking. Despite the fact that I participate in sports like mountain biking which involve constant cuts, grazes and infection. use, such as gut dysbiosis.